Jay Z has made his first public comment on Beyonce’s “Lemonade,” and being Jay Z, there’s only one way he was going to respond — on a new track. The hip-hop mogul released a new tune called “All the Way Up,” featuring Fat Joe, Infared, Remy Ma and French Montana, on Tidal Tuesday night. In the song, Jay Z says, “You know you made it when the fact / Your marriage made it is worth millions / Lemonade is a popular drink and it still is / Survival of the littlest.” Later in the song, he references his daughter, Blue Ivy Carter, his 21 Grammy wins, and even the late musician Prince. “Prince left his masters where they safe and sound / We never gonna let the elevator take him down,” he says. Prince was of course found dead in the elevator of his Minnesota home. Back in April, Queen Bey released her new album “Lemonade” to coincide with her new HBO special of the same name. 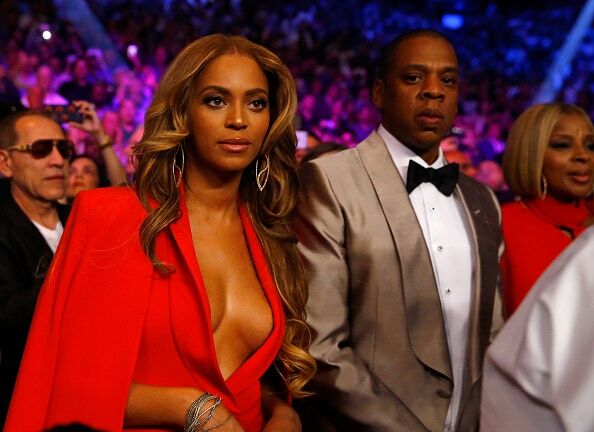 The line fed speculation that Jay Z and Beyonce’s marriage was in trouble due to infidelity on his part.